Good morning friends! 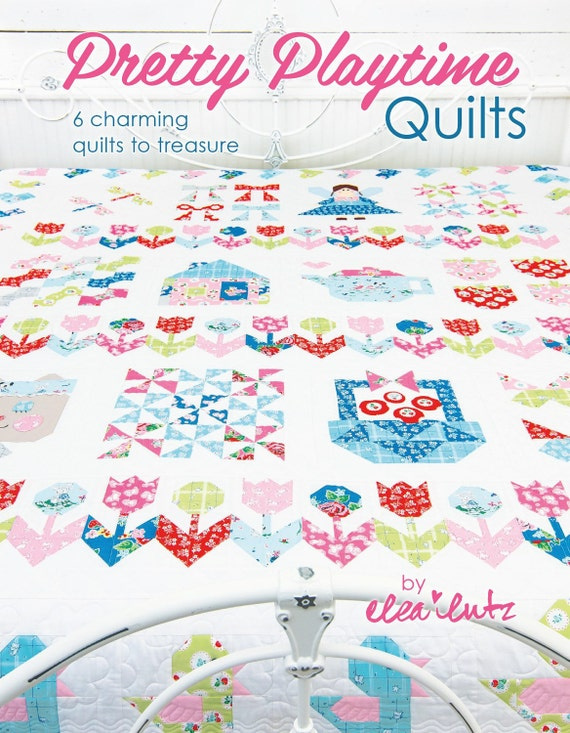 One of my very favorite designers, Elea Lutz, for Penny Rose Fabrics has recently released her first book called Pretty Playtime Quilts. 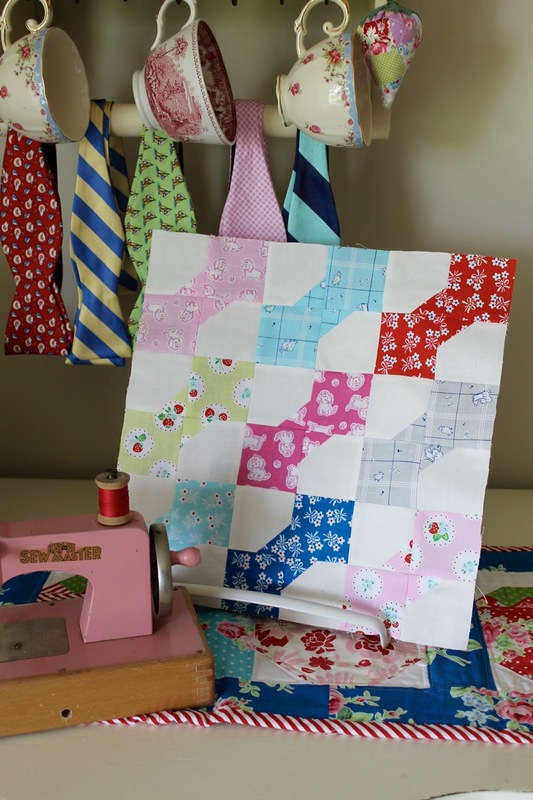 For 16 weeks, the Fat Quarter Shop is hosting a blog tour featuring a new block each week from the Garden Fairy sampler quilt, found in the book and featuring her latest fabric collection, Strawberry Biscuit. This delightful book has six patterns in addition to the fifteen block patterns for the Garden Fairy Sampler quilt. I am hoping to make every pattern in the book! 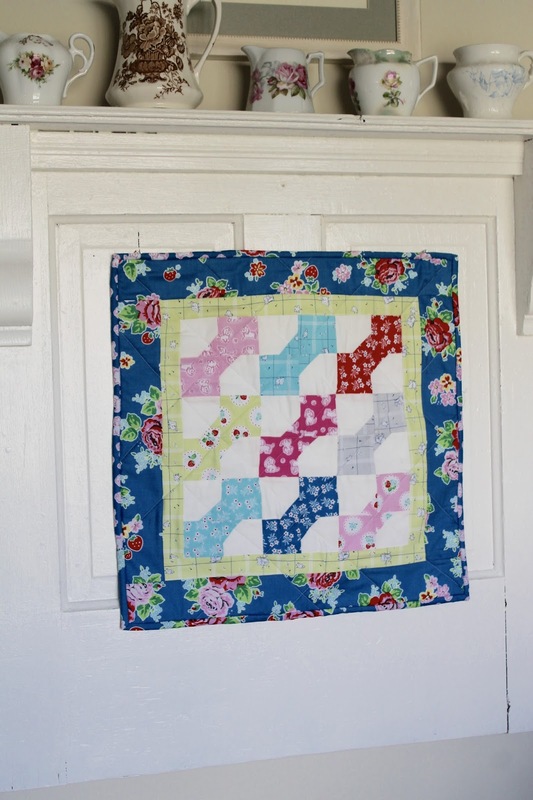 This week is my turn on the quilt along and I sewed a block that is very near and dear to my heart, the bowtie block. My husband wears a bowtie every day to work and I had fun matching up some of his bowties to Elea's gorgeous fabric! This block is super easy to make and is just so lovely when completed. 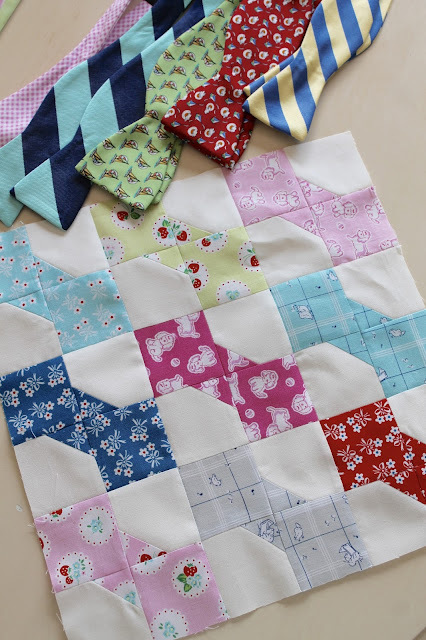 I would love to work my way through my scrap bin and make a whole quilt with this block! Thank you for stopping by today. Have a great start to your week! Be sure to visit the blogs below for pictures of their gorgeous Garden Fairy Sampler blocks! Pretty little Bowtie Block! Yes, a scrappy quilt in this block is a wonderful idea! I just adore your talent with quilting, Renee! So amazing.